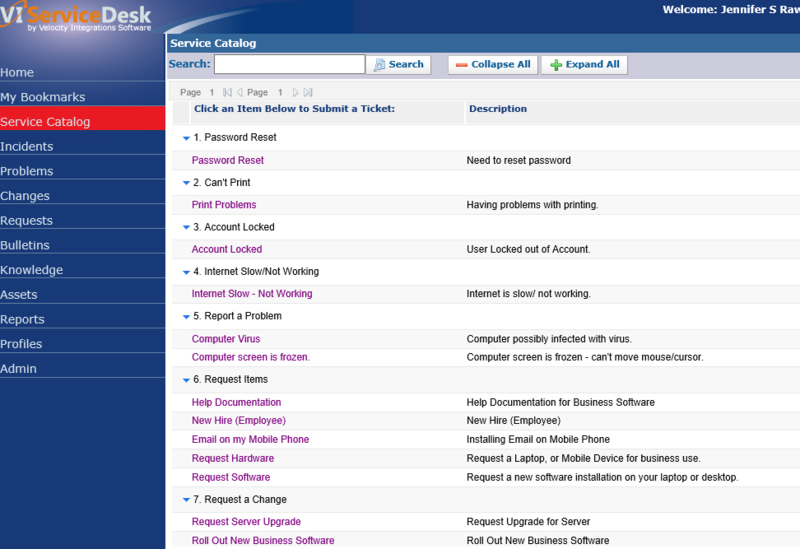 Service Catalogue in the VI Service Desk - VIS, Inc. The Service Catalog provides a way to standardize services and automatically incorporate service level expectations. 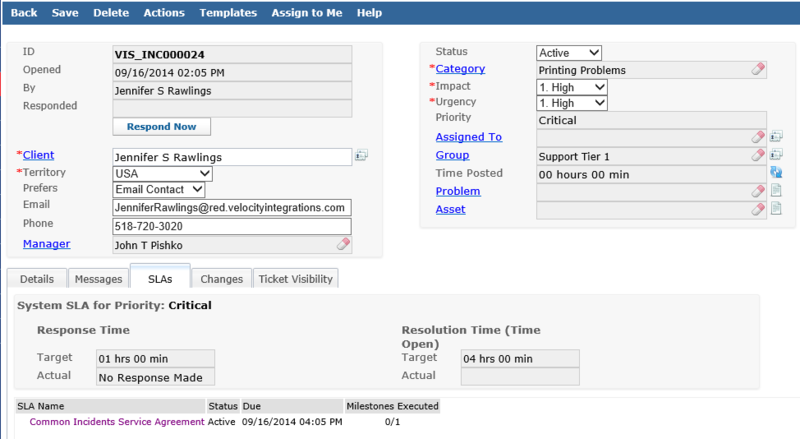 A Service Catalog is an excellent starting point to reduce cost by ensuring accurate and consistent logging of tickets from your end users. Rather than speculating which category to choose for a particular request or problem a user can quickly choose from an organized catalog of services. This also strengthens the relationship between IT and the end user community.